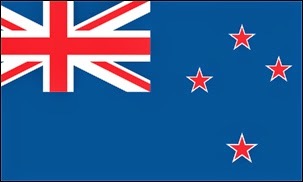 In an effort to lure more international artists to New Zealand, the country has moved to ease visa requirements with the changes due to take place later this year. According to the New Zealand Tourism Industry Association (TIA), starting at the end of November, 'high-end' musical acts and their support crew will be able to travel and perform in New Zealand on visitor visas rather than work visas so long as they are being promoted by a local company. What constitutes a 'high-end' musical act remains, admittedly, somewhat murky. "Cutting the red tape will make it much easier and cheaper for the world’s top performers and their entourages to come to New Zealand," says TIA Policy & Research Manager Simon Wallace. The changes are a part of the country's Tourism 2025 growth framework, which aims to double annual tourism revenue to $41 billion over the next decade. Sally Attfield, TIA Hotel Sector Manager, says because music events can be held in the shoulder and off-seasons, they can create demand for accommodation and other services at what is typically a quieter time of the year for tourism businesses.